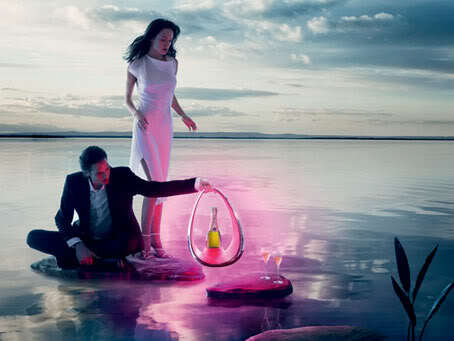 Created by Karim Rashid, the limited-edition Veuve Clicquot Globalight is an invitation to romanticism. This ultra contemporary chandelier creates a soft pink halo of light and a dream like atmosphere wherever it goes. It transforms an intimate candle lit dinner between partners or friends. 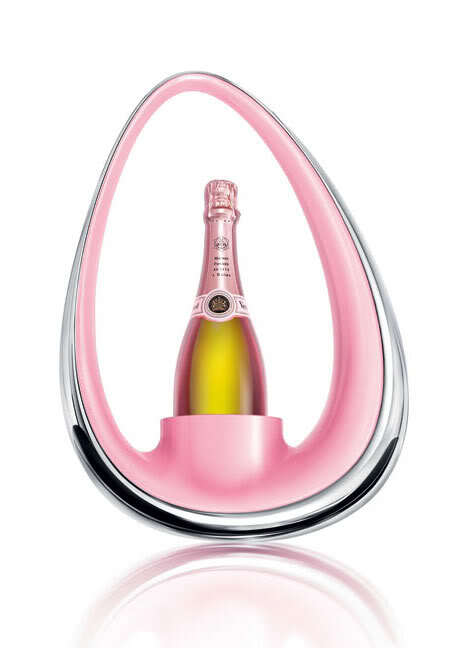 It keeps Veuve Clicquot Rosé at the ideal temperature for 2 hours. You can take Veuve Clicquot Globalight wherever you go, it glows in its surroundings and creates a beautiful ambiance for the perfect champagne moment. 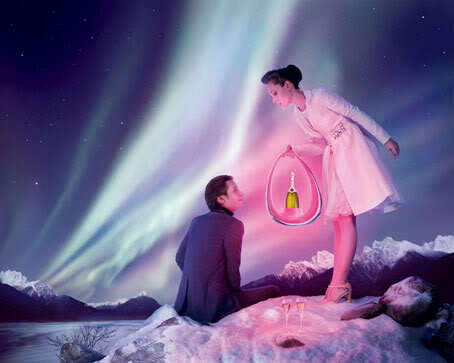 Easy to carry, Veuve Clicquot Globalight is a design jewel with pure and sensual lines. Its brushed aluminium structure fits perfectly in modern design surroundings or a more traditionally styled room. Veuve Clicquot Globalight is a state-of-the-art technology and design piece. The highly sophisticated system provides light without warming the lamp and transferring heat to the bottle of champagne. Zumbotel, a world expert in lighting, has conceived and manufactured this unique and complex technology. The pink light is the heart of this unique piece and it creates a romantic ambiance wherever it goes. The wine has a luminous colour with an attractive pink hue. The wine works its magic - this delectably full champagne can be enjoyed as a true delicacy. A deliciously fruity wine in early bloom, this is a wonderful aperitif to be shared as a twosome or simply with friends. Its superb rosé colour adds a daring, contemporary and romantic touch! minimalism and sensual inspiration – Karim Rashid collaborates with the House of Veuve Clicquot Ponsardin for the second time. 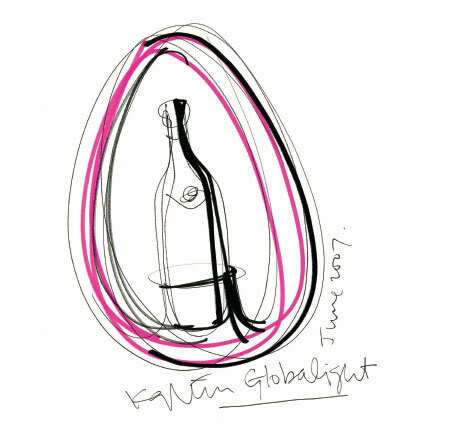 Following the release of the “Veuve Clicquot Loveseat”,Karim Rashid drew inspiration from Veuve Clicquot Rosé to create “Globalight”, a multi functional design object representing modern romanticism. An award winning English-Egyptian artist living in New-York, Karim Rashid is a leading figure in the fields of product and interior design, furniture, lighting and art. His work is in the permanent collections of 15 Museums world wide including MoMA in NY.